And here we come at once to a very important fact. Man does not know himself. He does not know his own limitations and his own possibilities. He does not even know to how great an extent he does not know himself. How he could know this baffles me because it has been available since June 2010, and I first downloaded it back then. No new edition seen, as far as I know. So, by all reasonable estimates, this work belongs in the public domain. Is that correct? Hans seems astute to what is in copyright domain, and out. 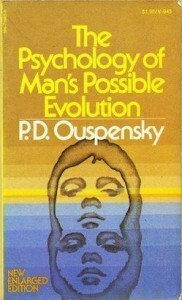 This is proven when two of Ouspensky’s books, once available in 2010, were re-published later and not now available, ref. both now removed for download, as indicated. So, is it reasonable to say that ‘POMPE’ is secure as a free being in the greater public domain?